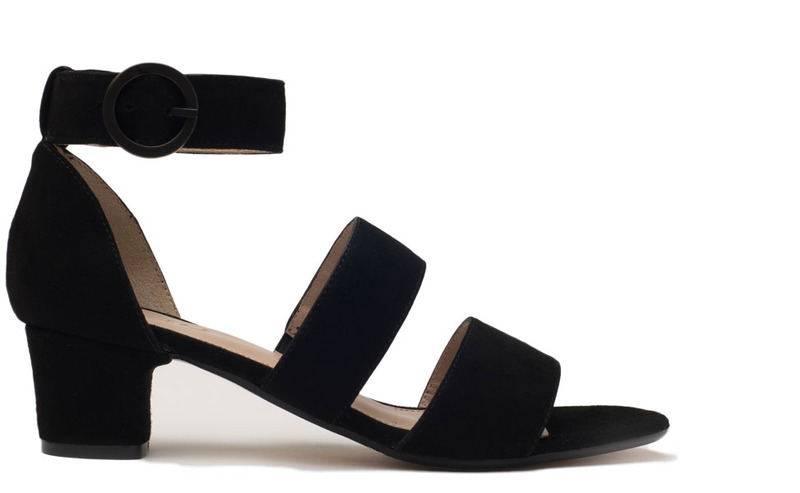 Sandal in balck suede. Geometric 4’5 cm heel. leather sole.